Were the Wild and Wolves playoff series less enjoyable because fans had access to all the information they could ever want -- and knew the match-ups were lopsided against their teams? The narrative of the Wild’s trip to the NHL playoffs and the Wolves’ trip to the NBA playoffs this year was basically written and decided upon before Game 1 in either series started. The Wild was overmatched against the bigger, quicker and better Winnipeg Jets. Even if the Wolves’ offense was deemed efficient during the regular season, they were no match for Houston’s three-point barrage. There was very little sense among either local fan base that, “Hey, this is the playoffs. Anything can happen!” It was pleasant enough at times (particularly the lone win in Game 3 in both cases), but for the most part these were as-expected affairs that led to IMMEDIATE questions and demands from fans. Fire Chuck Fletcher (done) and shake up the roster (we’ll see). 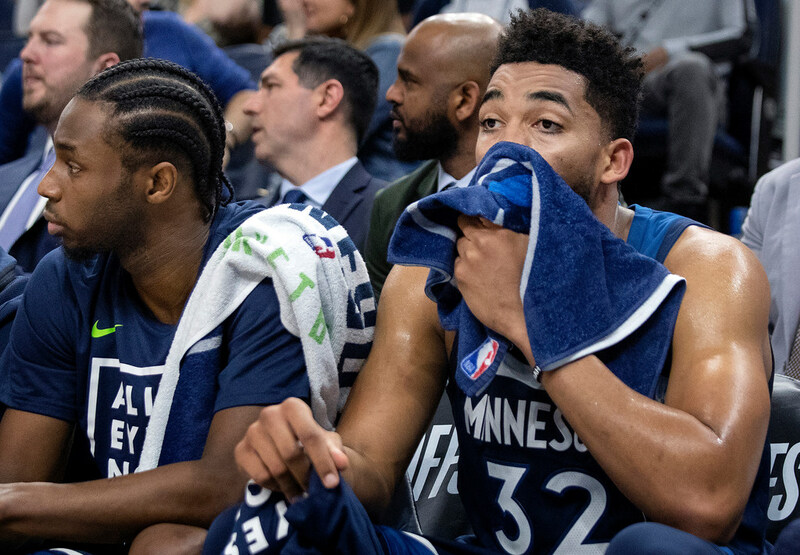 Demand action from the Timberwolves about Tom Thibodeau (extremely unlikely) and trade Andrew Wiggins (we’ll see). The playoff series were predictable in part because they played out similarly to the regular season meetings between the sets of teams. But they were also predictable because fans had access to all the information they could ever want that proved the matchups were lopsided. It reinforced a notion that has been growing inside my head: The more we know about sports and the teams we watch, the less we enjoy them. Before we get too far, please note this is not an argument that information is bad. That’s absurd. I want as much information as possible when I write something, and I think an evolving part of my job is figuring out what information is useful and what is not. In general, we should want to know more and strive to know more. That’s how society and humankind hopefully advances. Rather, this is an argument that price we pay sometimes for knowing more is enjoying less. Ignorance isn’t necessarily bliss, but neither is information overload — particularly when it comes to something like a game on a field. A more informed fan is a savvier fan, and the information pool is staggeringly deep right now. The NBA puts a treasure trove of data on its league web site (NBA.com), and there is plenty more on other sites. The NFL has a special advanced stats page, while sites like Pro Football Focus take us even deeper. FanGraphs, Baseball Prospectus and any number of independent analytics-based sites have you covered in baseball. Even the NHL and MLS, relatively late adopters in the information era, have joined the fun with sites like Natural Stat Trick and American Soccer Analysis. Some of this plays out in how the games are played. Baseball is all about walks and hard-hit balls these days, with little fear of swinging and missing, to the point that almost one-third of every plate appearance this season has ended in a walk or a strikeout. This might be sound strategy in some cases, but it makes for long games with less action, neither of which are fan-friendly. But more so, this is about how a fan engages with the information he or she has. If a team is losing, we can find 17 specific ways to explain it. If we disagree with a personnel move, we can find countless points of evidence to back up our venom. The same can be said of winning, of course. But here’s the thing: roughly 97 percent of teams are going to finish short of a championship every year in the NBA, NHL, NFL and MLB. More information leads to diverse opinions. More data — good and bad — leads to more ways to interpret that data, good and bad. Once we have that information and those opinions, there are countless ways to share them. Social media plays a role, for sure, with its instant reactions and piling-on mentality. Twitter is a wonderful place with diverse opinions. Just make sure your diverse opinion is the right one, lest the mob descend upon you. But social media is merely a vehicle for ideas, not the ideas themselves. The ideas are coming from self-made experts who really do know, in many cases, a lot about what is right and wrong about their favorite teams. Maybe 50 or even 15 years ago, a Twins fan simply would have said “Logan Morrison is a bum.” The hyper-aware fan will now dissect his slow start in 24 different painful but nuanced ways while also concluding that Derek Falvey and Thad Levine aren’t worth the paper their fancy degrees are printed on. I dare say that same fan of the past still would have approached every subsequent Morrison at-bat hoping for the best instead of expecting the worst. That fan from a previous era might not have been smarter, but he or she probably would have enjoyed the experience more. If information has a cost, this is it.